Use MZpack 3 Pro API to build NinjaScript/C# Add-ons (indicators and strategies) for NinjaTrader 8. See details. 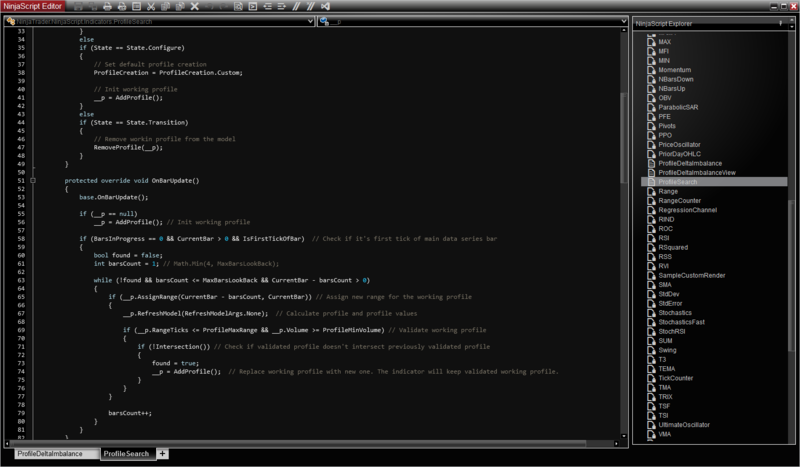 Use MZpack core to code indicators based on order flow/order book and market microstructure logic. Programming interfaces described in User Guide. First of all add reference to MZpack dll file in your NinjaScript environment. 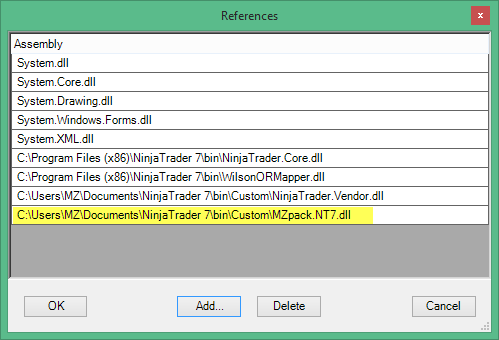 Click right mouse button in NinjaScript editor and click References… Then click Add… button and select MZpack.NT7.dll file. Click Ok.
OnStartUp() method called on each indicator start. Create MZpack indicator instance inside and set desired parameters. Place indicator logic in OnBarUpdate() method. Check if data is not Historical because MZpack works only with realtime data. See available indicators sapmles to learn how to use MZpack core indicators in your project. To add this samples to NinjaTrader import MZpackInterfaceSamples.zip indicator from MZpack installation folder. MZpack 2.3.0 paid version or higer required to compile samples.